The United States bears a profound moral responsibility for having made such a hash of things there. 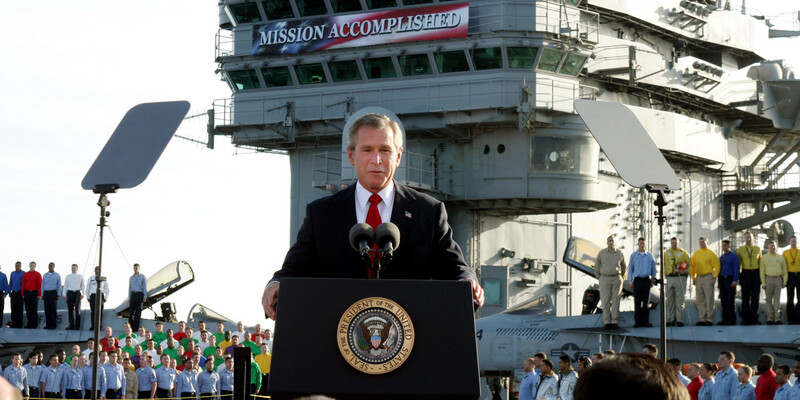 Were it not for the reckless American decision to invade and occupy a nation that, whatever its crimes, had nothing to do with 9/11, the Islamic State would not exist. Per the famous Pottery Barn Ruleattributed to former Secretary of State Colin Powell, having smashed Iraq to bits a decade ago, we can now hardly deny owning ISIS. It’s an alluring prospect. In the face of a sustained assault by the greatest military the world has ever seen, ISIS foolishly (and therefore improbably) chooses to make an Alamo-like stand. Whammo! We win. They lose.Mission accomplished.